Personally I need a decent sleep so I’m not wrecked for my next day of travel. 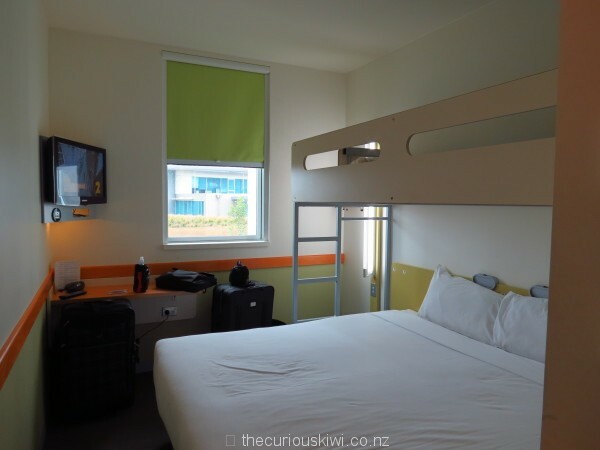 To bypass traffic and to make an early start not quite so early we stayed at ibis budget hotel, Auckland Airport. We lucked out on a really cheap sleep and paid $89. The rooms are compact as you would expect but perfectly adequate for a good sleep. I did however assume if you’ve stayed in one ibis you’ve stayed in them all. Wrong, there are three types – ibis budget, ibis styles and plain old ibis which isn’t plain at all, but the best of the bunch. Staying in ibis budget meant we had no in-room tea and coffee making facilities or fridge. Given one of us mainlines cold water and the other tea, you could say we were t’d off. However we now know what to expect at ibis budget – thirst. Seriously, you can make hot drinks downstairs in the breakfast area for around $3 (or head to the fast food joint across the road). A very basic continental buffet breakfast is $10pp. (You do get your own bathroom just incase you’re wondering, there are no shampoo sachets or hair dryer, but soap is provided). If the weather permits and you can wheel your luggage, it’s an easy 10 minute walk to the international and domestic terminals. Alternatively there’s an airport transfer bus that services hotels surrounding the airport. The bus runs approximately every 30 minutes, buy your $5 ticket from the machine at ibis budget reception. Car parking is free for the length of your hotel stay. A 24 hour Countdown supermarket is across the road, in the same complex are fast food options and The Warehouse (sells almost everything). Szimpla Gastro Bar is next door. The Jamaica Blue cafe behind the hotel reputedly offers free wi-fi with purchase although it was closed the Sunday afternoon we visited. 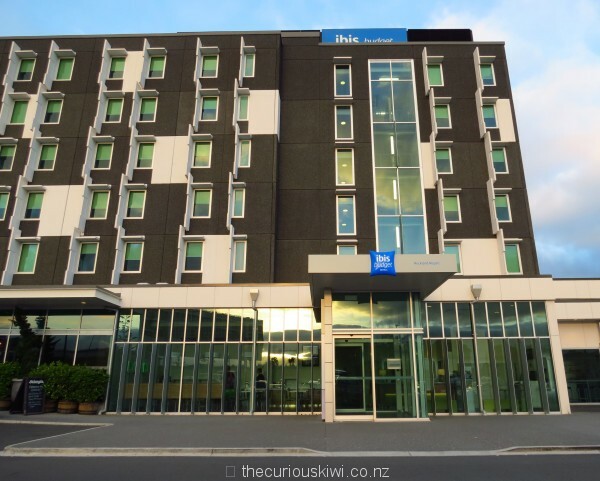 If you’re happy to pay upwards of $200 per night check out the highly rated Novotel Auckland Airport located a couple of minutes walk from the international terminal. Wow seems like budget really does mean budget for ibis! 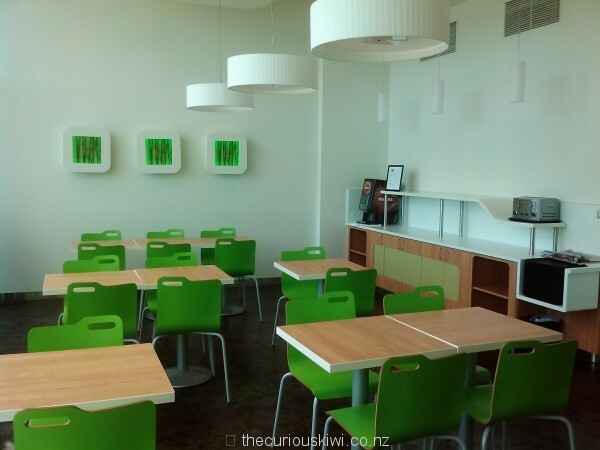 But definitely worth being near the airport – Auckland airport is a bit of a trek to town eh? We’re being poor backpackers in Vanuatu next week and actually just sleeping in the terminal, cringe. ibis budget is budget alright but it did save us traffic hassles and the time that city-airport trek can take. Looks like I have to eat my numbers though as it seems $79 is the cheapest the rooms get now, not $59. Vanuatu, neat, we’re keen to go there too, if you get time in future to blog about it, I’ll be reading. The thing about saving money on accommodation is all the good stuff you can do with the extra $$$, go for it, and have a tumeke (awesome) time. A $3 coffee though is such a rip off! I have to catch up on the rest of the Philippines and Northland then there will be Vanuatu up on the blog. Pics regularly on @chelseatravelsfar on instagram though – I’m better at updating that. It wasn’t good coffee either.